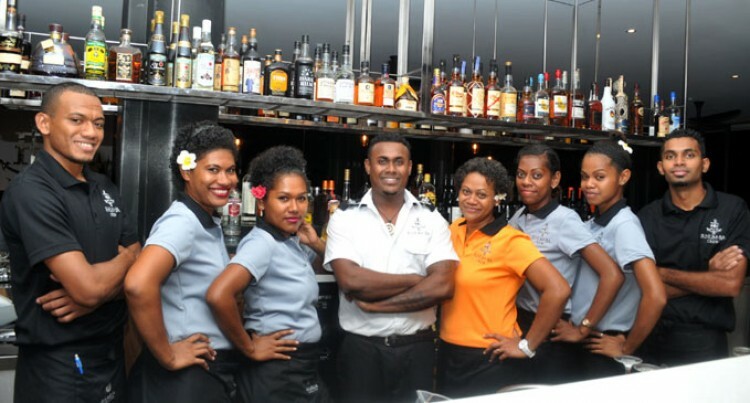 A bar and club that boasts a different dining concept – The Rhum-Ba – has opened its doors on Denarau. The Rhum-Ba’s first executive chef, Henry Selmann, says the concept involves a bit of seafood, grill and steaks; showcasing a lot of Australian and local beef. “We are doing a lot of seafood, crayfish from Savusavu specially come in from Paradise Seafood Supplier, so we kind of showcasing a little bit of everything at the moment – a little bit of northern Italian style and southern Italian as well such as pizzas,” he said. The new $4.5million state-of-the-art dining spot boasts more than 100 rums from around the four corners of the world – in the top four in the Southern Hemisphere, surpassing those of New Zealand and matching those in Australia. “We try to incorporate a lot of rum into our food as well. We still want to see what the customers want and we will see where we want to go,” Mr Selmann said. The Rhum-Ba boasts the first Steinlager beer on the tap in Fiji and Speight’s Cider on the tap as well.